Signs is very pleased to announce that Nadieszda Kizenko has been awarded the Association for the Study of Eastern Christian History and Culture‘s 2013 Distinguished Article Prize for her Signs article “Feminized Patriarchy? Orthodoxy and Gender in Post-Soviet Russia.” Please join us in congratulating her! Kizenko’s article investigates the tensions facing religious women in contemporary Russia. Kizenko argues that while individuals face fewer obstacles in practicing Orthodox Christianity, as compared to the communist period, leaders of the Russian Orthodox Church conflate Soviet-era rhetoric and Western liberalism, rejecting both as alien and hostile to Orthodox values; many instead seek to affirm traditional gender roles as a panacea to Russia’s troubles. Kizenko finds that Orthodox women in Russia are negotiating this terrain in new ways, whether as casual parishioners, as “virtuosi,” as priests’ daughters who become priests’ wives and church choirmasters, as church lawyers and heads of parishes, or in the new religious publications industry. 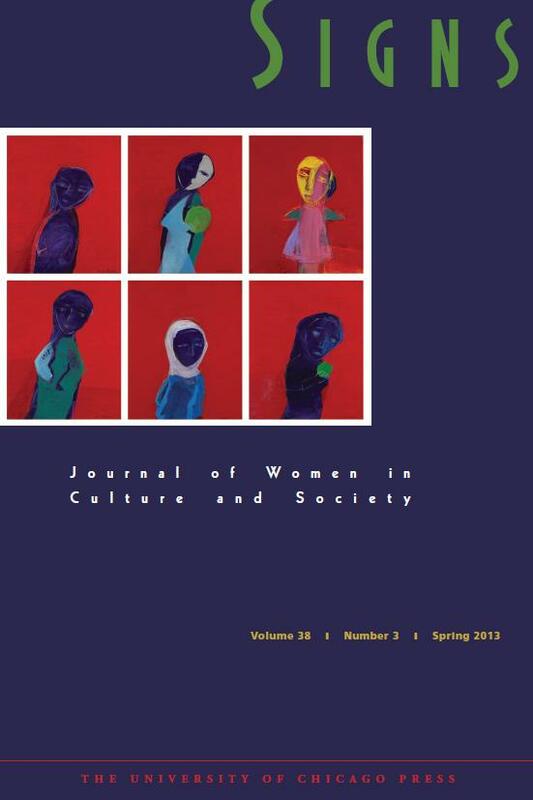 Kizenko’s article is part of a thematic cluster on women in contemporary Russia published in Signs‘s spring 2013 issue, which also contains work on the women’s crisis center movement (by Janet Elise Johnson and Aino Saarinen), contemporary reproductive politics (by Michele Rivkin-Fish), entrepreneurship and self-development (by Andrea Mazzarino), and a contextualizing introduction by Beth Holmgren.